Link Global Management can provide a full range of payroll services in Democratic Republic of Congo. The individual will be engaged on our payroll and income is paid in the form of salary, allowances and expenses, the proportion of each part depending on individual circumstances. Link Global Management will discuss your personal circumstances with you and help you to minimise your tax and social security liabilities, within the boundaries of Democratic Republic of Congo legislation. Income is managed tax efficiently, not just in Democratic Republic of Congo but also in any other country where there may be a liability. A tax return is filed each year in Democratic Republic of Congo with advice and assistance from Link Global Management who will also provide help with filing tax returns elsewhere, if required. Individual income taxes are imposed on remuneration paid to an individual by a third party, regard less of whether the individual is engaged under a service agreement with the third party. Individual income taxes are imposed only on Democratic Republic of Congo (DRC) - source income. A special tax on expatriates (lmpot Exceptionnel sur le Revenue des Expatries, or IER), payable by entities employing expatriates, is imposed at a rate of 25%. Under Article 260 of the Mining Code, the IER rate is 10% for expatriates employed by mining companies. IER applies only to income paid to expatriates who are subject to tax in the Democratic Republic of Congo. Nonresident individuals whose income is not taxable in the Democratic Republic of Congo because they are in the Democratic Republic of Congo under a technical services agreement are not subject to IER. 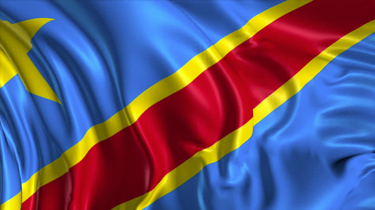 Thinking of contracting in Democratic Republic of Congo?